The champions, John B. Lacson Colleges Foundation (Bacolod), with Capt. Enrile and PHILCAMSAT Training Director Roy Akker. Participants from Mapúa-PTC College of Maritime Education and Training (CMET) of Malayan Colleges Laguna in a huddle to discuss their answers during the quiz bee. Cong. Jess Manalo addressing the students during the Anchor for Excellence National Finals. After a year-long nationwide search, maritime party ANGKLA Party-List and co-presenter Philippine Transmarine Carriers, Inc. (PTC) has crowned the country’s best and brightest cadets during the National Finals of the Anchor for Excellence National Maritime Quiz Bee held last September 30 at the Malayan Colleges of Laguna (MCL) in Cabuyao. The sponsors who have seen merit in this significant cause are New Simulator Center of the Philippines, Inc., V. Ships (Pacific Ocean Manning, Inc.), Fair Shipping Corporation, Cebu Gems, Marlow Navigation, Filipino Shipowners Association, BSM Crew Service Centre Philippines, Inc., PNTC Colleges, Inc., Globe, Philippine Daily Inquirer, and Gerry’s Grill Nuvali. Emerging as the first ever Anchor for Excellence champion was John B. Lacson Colleges Foundation (Bacolod) who won a special endorsement for Shipboard Training. Sharing 1st Runner Up honors were John B. Lacson Foundation Maritime University (Molo) and St. Therese – MTC College (Magdalo Site) who will both receive free Marine Deck and Engine Review Classes from Cebu Gems. 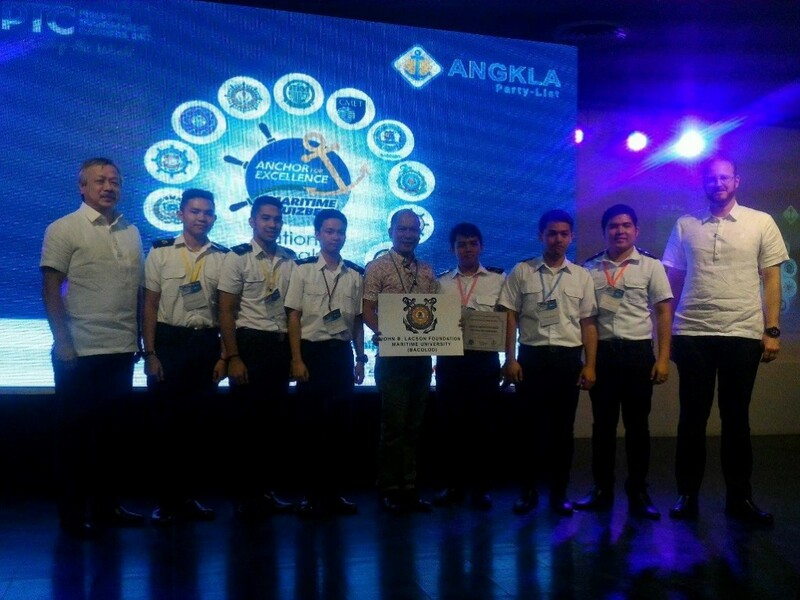 Baliwag Maritime Academy was named 2nd Runner Up earning them free Simulator Training Courses from New Simulator Center of the Philippines, Inc.
A total of 14 maritime schools from all over the country faced off at the finals of the first ever nationwide quiz bee of its kind in the Philippines. 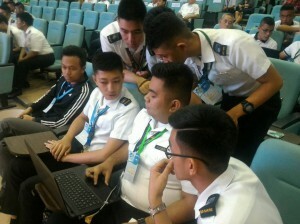 The participating teams initially had to pass grueling Preliminary and Regionals Rounds held across several provinces from October to February of last year before gaining eligibility to represent their schools and respective provinces at the national finals held in conjunction with the 2016 National Maritime Week. Other finalists included Asian Institute of Maritime Studies (Pasay City), Our Lady of Fatima University (Valenzuela City), Mariners Polytechnic Colleges Foundation – Baras (Camarines Sur), University of Northeastern Philippines Camarines Sur (Iriga City), Bicol Merchant Marine College Inc. (Sorsogon), Mapúa-PTC College of Maritime Education and Training (CMET)- Malayan Colleges Laguna, Midway Maritime Foundation (Nueva Ecija), Philippine College of Science and Technology (Pangasinan), Northwestern University (Laoag City) and Salazar University (Cebu). In his congratulatory remarks to the winners, Capt. 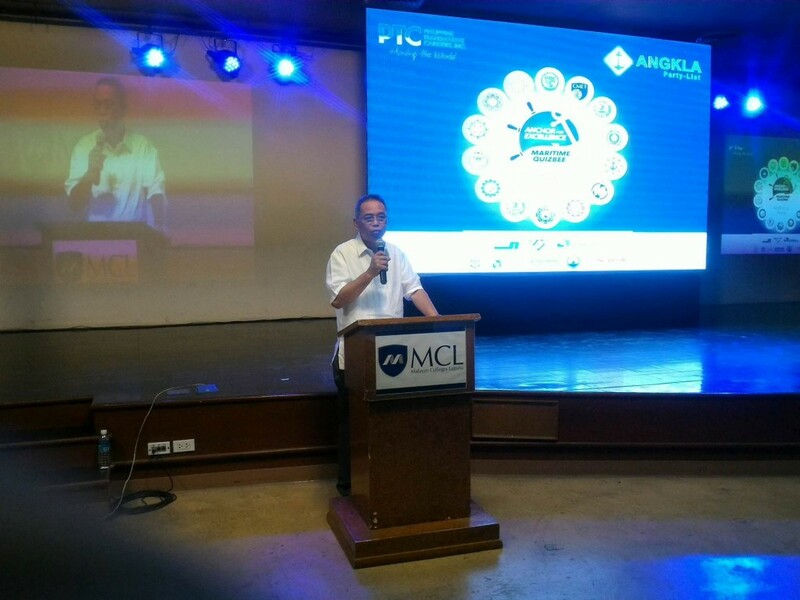 Ronald Enrile, PTC Senior Executive Director for Government Affairs in Maritime and Sectoral Representation, commended all the participating students not only for their display of academic proficiency during the quiz bee but more importantly, for exercising critical thinking and conviction in analyzing the questions and defending their answers. He advised the students to carry these qualities even when they go onboard and to consistently hone their skills and knowledge through continuous learning and training. Silent Sanctuary. The following day, the students participated in the beta testing of the Full Alert gaming app at the Technopark Hotel in Sta. Rosa, Laguna.